First, tell us a bit about yourself. From where do you come? Past jobs, awards, the usual bio stuff. Where did I come from? I could say Brooklyn, New York. My mother’s womb. Or that my genetic material came from the beginning of time on Earth. That’s my way of defining myself. Until I graduated college, I worked from eight years old, starting in my father’s dry cleaning store. My first skills were in cleaning, pressing, and tailoring clothes. I had many part-time jobs to have money to date and put gas in the car. My career began as a caseworker for the New York City Department of Social Services, Protective Services, I investigated the horrors of the abuse and neglect of children and did the best I could saving lives. After attaining master’s degrees in School Psychology and Clinical Social Work, and a post graduate education in psychoanalytic psychotherapy, I continued to help children and families in social agencies, schools and in my private practice. Equally important in my life was writing fiction, but being a Jack-of-all-trades it took a back seat. No longer. I’m no longer building furniture, renovating my homes, doing wood carving and oil paintings. After an early retirement, I’ve been able to write full time. But, I always have time for my wife, two professional children, and three of the most adorable grandchildren. 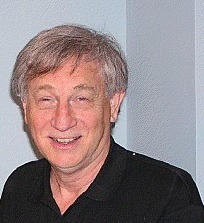 I am a member of the International Thriller Writers Organization and Romance Writers of America. No awards as yet, just people loving my stories. You’ll notice golf is in all my work. It’s a passion that can’t be separated from all other aspects of my life. What’s the craziest, bravest, or stupidest thing you’ve ever done? I have done many crazy and stupid things, but nothing life changing. But, I’ve only done one brave thing that was. As an obscure licensed clinical social worker on Long Island, I had the audacity to write a book on human nature and relationships. And believe me it took an enormous amount of courage to tell Freud that he was wrong about our species and the therapeutic community around the world. In my field only eminent psychologists and psychiatrists write books and create on personality theory. So after a year of research on finding the truth about our species, including my clinical experiences, I nixed fictional psychology, while not using one clinical term. It took many years for me to formulate and write a work that focused on the impediments that prevent us from having happier lives. New Horizon Press Books published Taming Your Inner & Outer Bullies: Confronting Life’s Stressors And Winning. It changed my life and the lives of others for the better. What do you write? You’re welcome to include your latest title (shameless plug). I began writing horror short stories and they were all published. My first horror novel has never found a publisher, but it may one day. My second novel, A Sinister Obsession, was published by Black Opal Books. It is a mystery thriller with a paranormal female detective, whose ability is an asset to her police work, but a disaster to her social life. It is a love story as well. 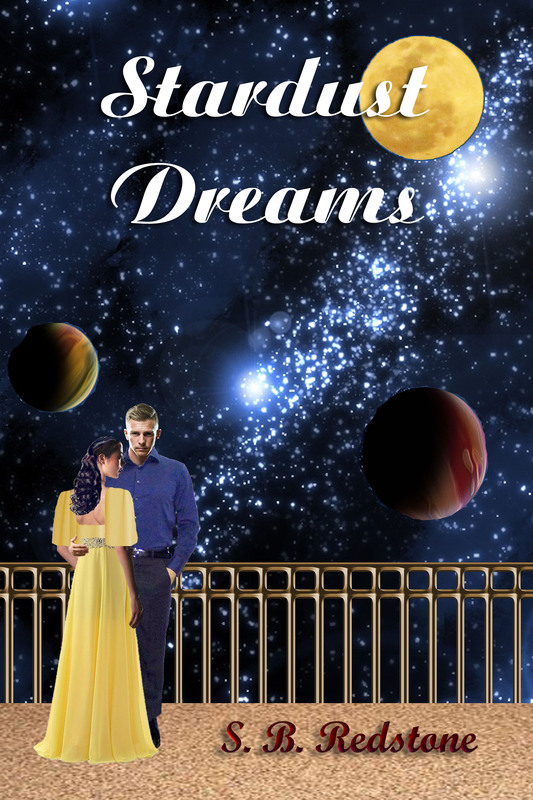 Getting hooked on those characters’ relationship, snared me to write a full love story, Stardust Dreams, with two female leads, one an infamous actress and the other an alien desperate for love and purpose. Sage Saint Charles lived a wild and notorious life in Hollywood before she descended into obscurity as a social recluse. Sage has regrets, more regrets than a person should have. When her drowsy eyes open, in hospice care, an unfamiliar old man is standing at her bedside. Lance Forrester is a dreamer. After a celebrated career as an astronaut and engineer, he and a friend built a secret spacecraft to seek their destinies in the stars. But, his friend died. Now that Lance has terminal cancer, he hopes to convince Sage whom he hasn’t seen since high school, to join him on his quest to reach an advanced alien civilization to bring them back to life. Stardust Dreams is an epic love story. It’s daring plot grasps hold of the lives of two desperate women—one is human, the other an alien, and the man they love. Unfortunately, true life is not a Hollywood movie. Can these two intrepid octogenarians overcome the emotional scars of their pasts and achieve true happiness, or are they doomed to suffer for their mistakes, no matter how far from Earth they go? This grand love story, with sci-fi/fantasy and futuristic sub-genres begins on Earth in the near future, flourishes on a beautiful Earthlike planet in the distant galaxy, and concludes back on a heartfelt Earth two hundred thousand years into its sad future. I’ve made the story so realistic, I believe the readers who long for eternal youth, love, adventure and a second lifetime to achieve their happiness will imagine they’ve travelled along on this fantastic journey. Tell us something of the genre in which you choose to write. If you write in more than one genre is your approach different for each genre, in the manner you write, plot the book, or brainstorm ideas? This what I said to myself. If Shakespeare, Hemmingway, and James Patterson can write what they love, so could I. I have no interest in being a Stephen King, who writes, as far as I am concerned, not being competitive, tedious horror. So far, I written in the genres of horror, mystery thriller, romance, science fiction, and currently comedy. My approach has been to study and learn style through other authors as each genre has a particular style. I do research, take endless notes, and practice. Plots and characters are created in my head. I do not write a word until I have completed the novel in my head from the opening chapter to the final chapter. If I can’t complete a novel in my head, I don’t write it. And if I don’t love it. If I don’t live in it. If I don’t think it’s unique and exciting, it is rejected. Naturally, it changes for the better as my unconscious and edits take over at the computer. Tying in all these genres, the social worker in me has social issues as the heart of all my work. I hate starting a novel because I’m so impatient to see it come to life. But that’s it. I love every other aspect of writing. Designing great and enduring characters is a thrill. Writing unique plots with various sub-genres takes it out of the realm of ordinary. The use of language and words to enhance mood and emotion tests my ingenuity, creativity, patience, and inner freedom and for a writer, there is no greater enjoyment. Is it your characters (a character-driven story) or your plot that influences you the most? For me, characters fit in the plot. When a story comes into my head, initiated by something I saw on television, read about in the newspaper or a book, or seen in a movie, a story percolates in my mind. As that process is taking place, I create the most interesting characters to make the story even more interesting. But, once I am writing the story I would say that I have an equal focus on characters and plot. I believe they are inseparable as did Ian Fleming with James Bond and Charles Dickens with Scrooge. On the other hand, Dan Brown, with his super bestseller, The DaVinci Code, his plot was so strong that it compensated for his lackluster main characters. That’s why Tom Hanks was chosen to star in the movie and not Russell Crowe or Sean Penn. If I can’t imagine fascinating characters in a story, then I won’t continue writing it. My novels, A Sinister Obsession and Stardust Dreams have quite memorable characters, so much so, people are begging me to write sequels. I love this question. No one ever asked me this before. First I decide on their nationality. In A Sinister Obsession Sergeant Aubrey McKenzie is part Scottish, so I went to the Internet and searched Scottish last names until I found the one that fit the character I had designed. In Stardust Dreams, the male lead needed a strong name and so I searched all male names. I liked Lance, which was strong but vulnerable. Under English last names I found Forrester, and he was born. Alien names came from phonetics, which I’d say aloud. What was your favorite chapter (or part) of your current project to write and why? The novel I am working on now is a series of love stories with fantasy as its sub-genre. It takes place in a magical retirement community where its residents have the opportunity to live their young years over again. It is a comedy/tragedy that takes an honest look at the serious issues that seniors and even grandparents have to deal with: ill health, depression, lost dreams, loneliness, financial troubles, family crises, and marital problems. It is so heartfelt you’ll need a box of tissues next to you. AND NOW FOR THE GIVEAWAY. LEAVE A COMMENT BELOW TO BE PART OF THE GIVEAWAY OF TWO eBOOK COPIES OF STARDUST DREAMS. THE GIVEAWAY WILL END AT MIDNIGHT EDST ON FRIDAY, SEPTEMBER 25, 2015. This entry was posted in Black Opal Books, giveaway, Guest Post, interview, science fiction and tagged A Sinister Obsession, Black Opal Books, giveaway, horror genre, interview, S. B. Redstone, Stardust Dreams. Bookmark the permalink. Good Morning Regina. Thank you for hosting me today. I will be sticking around to interact with your guests. I will answer any questions. Respond to comments. Talk on just about anything and everything. Loved reading about your writing process. Looking forward to your books! Thank you for your comment and I hope you enjoy my books. I’d love to hear from you.